It seems you might be a novice in dairy farming and looking for comprehensive tips conducive to setting up your own dairy farm sometime soon which makes you land here on this page. The trend is rising at a steady pace and more people nowadays are getting into dairy farming. And, it’s good to see that people like you are looking forward to making a fortune out of one of the age-old businesses. While dairy farming is no easy task, it does reap significant benefits provided you invest and indulge in effective dairy farm management techniques and processes suitable for your dairy farm. But before you get going, there are a few things you certainly ought to know to make a mark on the dairy industry. It is important to know that dairy farming is ultimately a business. One needs to devise a detailed business plan on how to go about with dairy farming followed by a profound analysis, preferably SWOT analysis (Strengths, Weaknesses, Opportunities, and Threats) of the same to run a successful dairy business. Factors like the number of cows you shall be milking, the market for your milk, if you would be hiring employees, money required to manage your farm and pay the bills should be considered while laying out a clear business plan. Your plan must include a stable cash flow plan to help you set expected expenses and production cost. While fostering your cattle at your dairy farm, it should always be the priority to feed them with essential food. A mix proportion of nutrients is required for them to support their well-being, produce good milk, and raise a calf. While a cattle includes different categories of animals like lactating cows, dry cows, and heifers, each of them requires a separate set of nutrients. It is advisable to consult and work along with an animal nutritionist to develop rations to efficiently raise these animals on your farm. 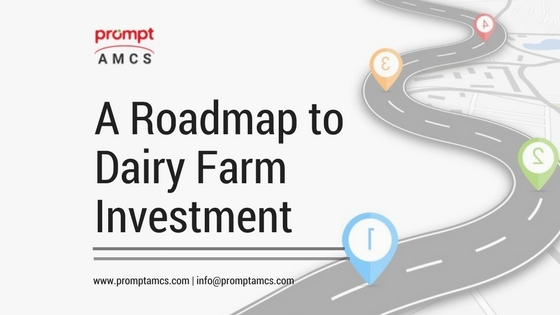 While formulating an efficient business plan and dairy management system, a word of advice from the dairy farm experts proves extremely beneficial. These experts include your neighbouring dairy farmers who hold a good experience in dairy farming, veterinary doctors, and animal nutritionists. Apart from this, there are also various dairy expos, open houses, and field days taking place all over the country to lend you vast information on various dairy farm equipment and methodologies. There are many other dairy producers who reside in different places and manage their dairy farms in their own ways. All these dairy producers engage in different practices according to the topography, climatic conditions, and crops available for feed. Therefore, visiting their dairy farms helps you gain a lot of information. While doing so, it is also necessary to keep in mind that what worked well on their dairy farms might not work the same way on your dairy farms. Hence, you should analyze each factor well and list the pros and cons before taking up any activity. Dairy Farming conducts a natural biological cycle in itself. You raise the cows, they produce milk, and give birth to calves which might become the next generation on your farm. Dairy Farming includes detailed knowledge and planning on various aspects like cattle health, nutrition, breeding, reproduction, and calf nurturing to manage your dairy farm well and make a successful business. A long-term and stable financial plan drives these plans proficiently. It is recommended to work with animal health experts, nutritionists, and genetic representatives to help you develop across-the-board dairy farm plans and create fruitful future opportunities. It doesn’t matter if you set up a small dairy farm or a big one. You need to perform the same set of activities irrespective of the size of your farm. However, you don’t need to work on all the dairy farm aspects all at once. Begin by developing a strong dairy farm management plan, include experts and consecutively take one step at a time to not let you mess up. That’s all is essential to make a successful future in dairy industry. Happy Milking! Your good knowledge and kindness in playing with all the pieces were very useful. I don’t know what I would have done if I had not encountered such a step like this.software for farmers.